On Thursday, May 3, you can dress up in yours for the annual Jeans Day™ fundraiser to support BC Children’s Hospital. It’s the only hospital in the province that’s devoted exclusively to children, serving one million kids in BC and the Yukon. Now you have the chance to help raise much-needed funds for research, equipment, and vital programs, at BC Children’s Hospital. You can team up with your friends, co-workers, and family to jean up for a great cause. All you have to do is purchase a $20 lapel pin or $5 button at any participating retailer across BC, then pair it with your denim co-ord. Don’t worry if you can’t get to a store, you can still donate online. Remember to take a photo and upload it to social media, tagging @BCCHF and using the hashtag #JeanUp. To make it better, you and a friend could be wearing brand new Canadian tuxedos from Mavi Jeans soon by entering the contest below! If you’re downtown Vancouver on May 3, you can visit the Jeans Day BBQ at the Vancouver Art Gallery from 11:30 am to 1:30 pm. It’s set to be a fun-filled afternoon with good music and food where you can help raise funds for BC’s kids. 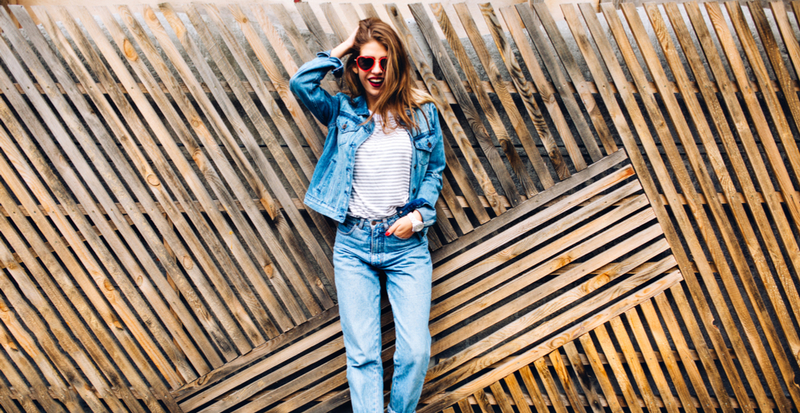 Enter for your chance to win a Canadian tuxedo from Mavi Jeans for you and one for your friend, courtesy of the BC Children’s Hospital Foundation in support of Jeans Day 2018. Contest entries will be accepted from the time and date of publishing until 11:59 pm on May 14, 2018. One winner will be chosen at random and contacted through the platform they used to enter.